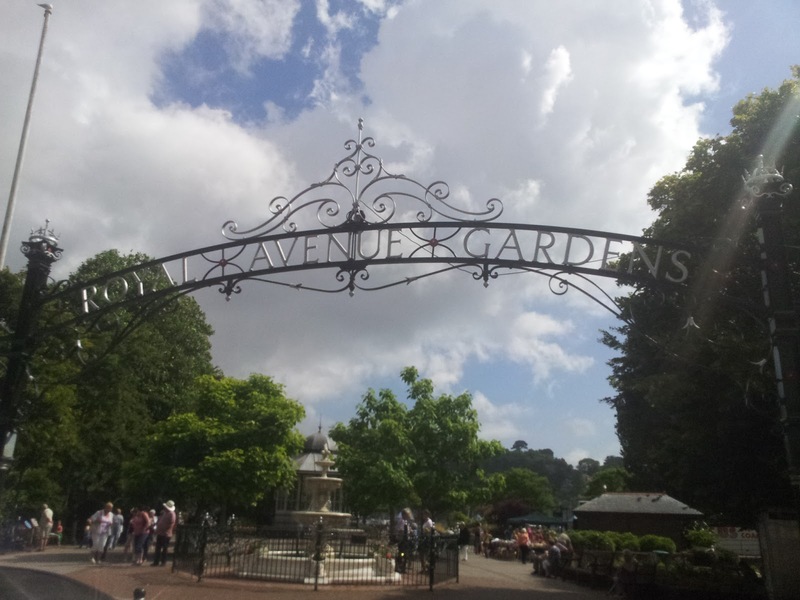 We wanted to write about our favourite relaxing, peaceful green space in Dartmouth, the impressive Royal Avenue Gardens. 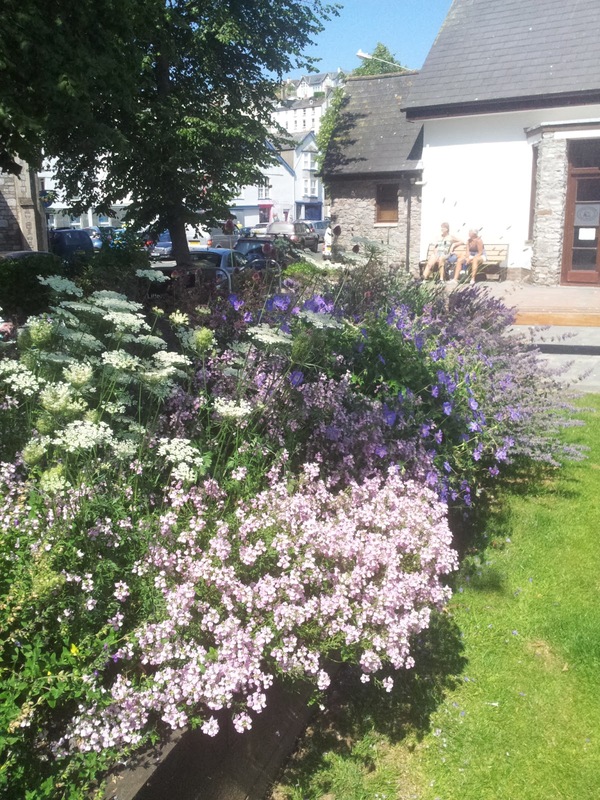 Right in the centre of Dartmouth there is this wonderful space full of amazing flowers, grasses, plants and trees that so many visitors just walk right by. What makes it so lovely is that it gets used by both visitors and residents of Dartmouth who know about its treasures. 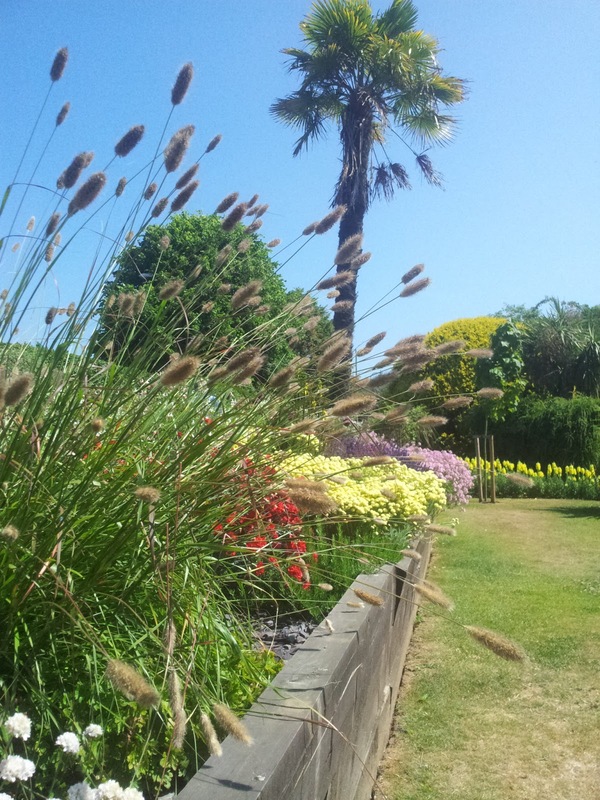 So even though the gardeners constantly produce really spectacular flower beds and floral displays there are no 'Keep off the Grass' signs anywhere. People picnic, laze around, sun-bathe, read books or just chat and relax on the grass. Children dance and play. Well behaved dogs run around having fun. 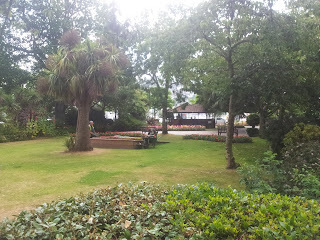 All on this small oasis of lush green garden right next to the Bandstand and overlooking the River Dart! People use it and enjoy it and love it. 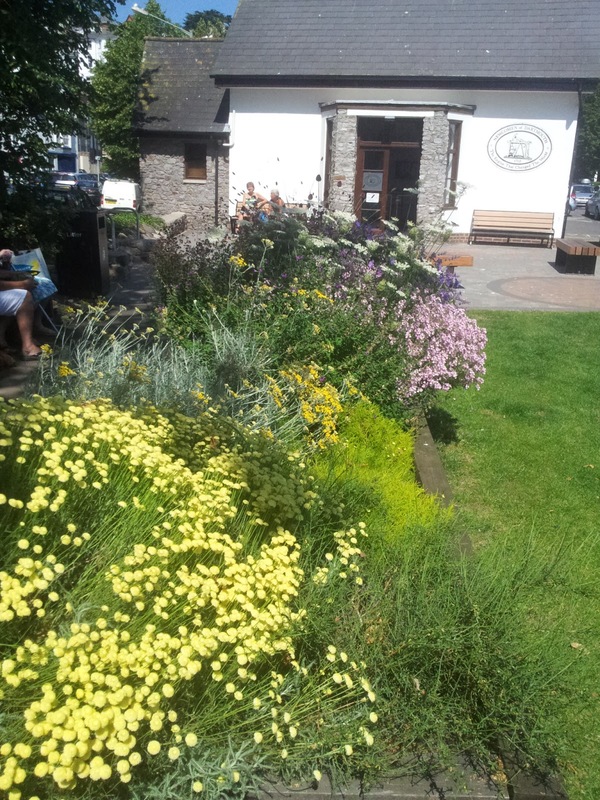 The council gardeners are wonderful and because so many people love to use this space they work really hard to keep it in great condition. For instance at Dart Music Festival time each May, it is used particularly hard. 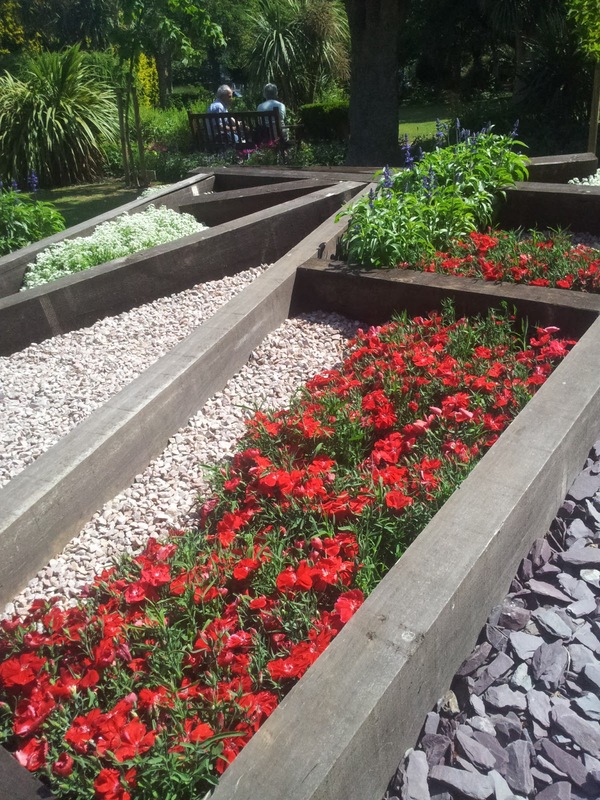 Some flower beds get a bit trampled and stuff gets broken off. Within a few days it is all perfect again and always recovers! 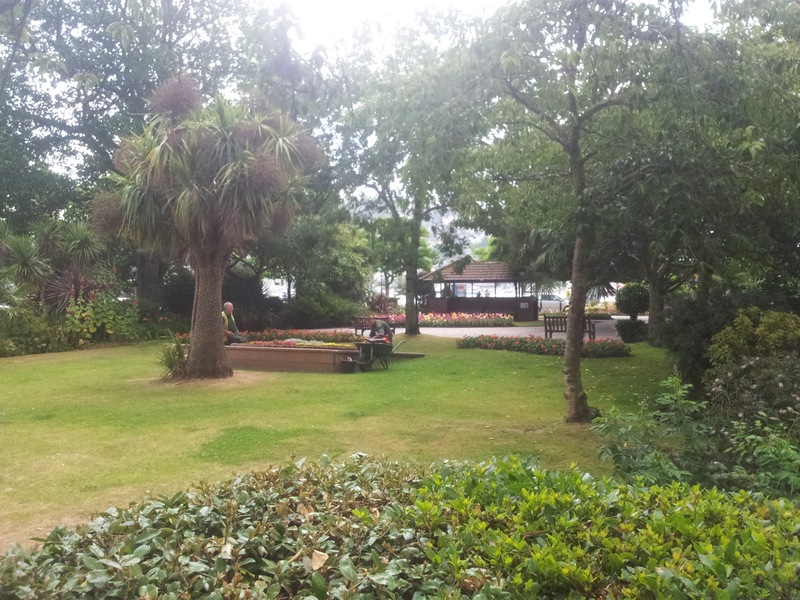 There are benches dotted around the edge of the grass and a great new section was added to the gardens last year called the 'Newcomen Plaza'. This is a very fancy phrase for an additional bit of space in front of the Thomas Newcomen Engine display room. 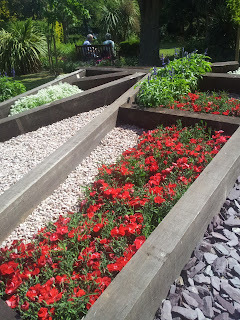 There are several raised beds with herbs and plants in and some really nice paved areas with benches. It looks brilliant and is a lovely place to sit on a bench and 'stop to smell the roses'. That's because it is also adjacent to the Rose Garden. If you love roses, you will really like this. A circular area surrounded by ornate metal railings and arches that really shows off the collection of rose bushes. 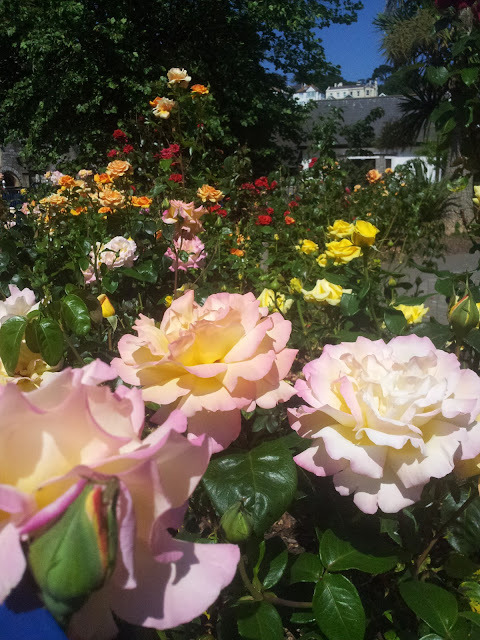 The scent is captivating and at this time of year the roses are fully out and so colourful, you would love it. 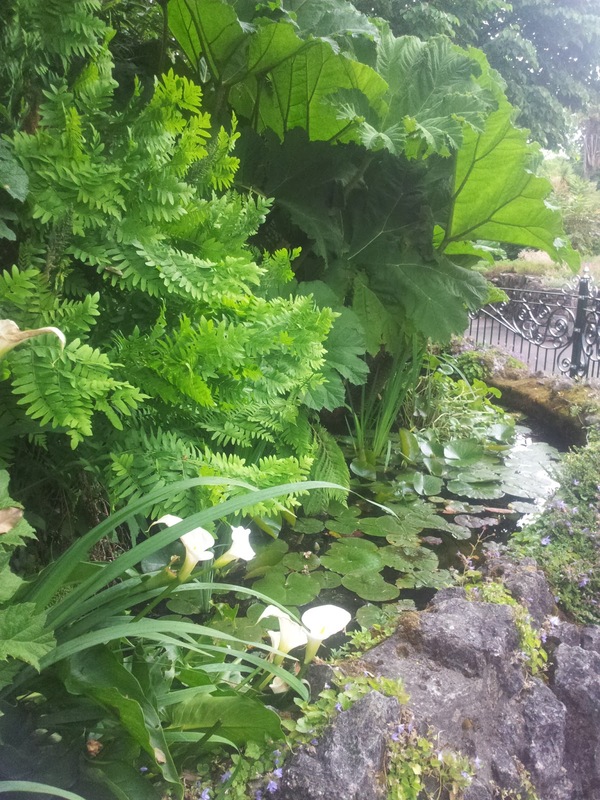 The Royal Avenue Gardens may not have the excitement of Dartmouth Castle or the attraction of Agatha Christie's house but nevertheless they are stunning, peaceful and relaxing. In our opinion you should make sure you walk around them the next time you visit or just plop down on a bench and read a book. 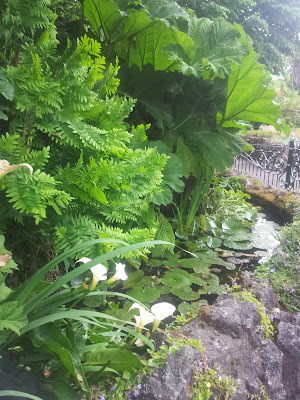 Oh, and did I forget to mention the small but beautifully formed pond with goldfish, surrounded by lilies and ferns and gunnera (like giant rhubarb leaves)? This is tucked away right at the back of the gardens on your way through to the car park.